Hidden in the heart of Bloomsbury, L’Oscar is the new, luxury boutique hotel that has been designed by Jacques Garcia. 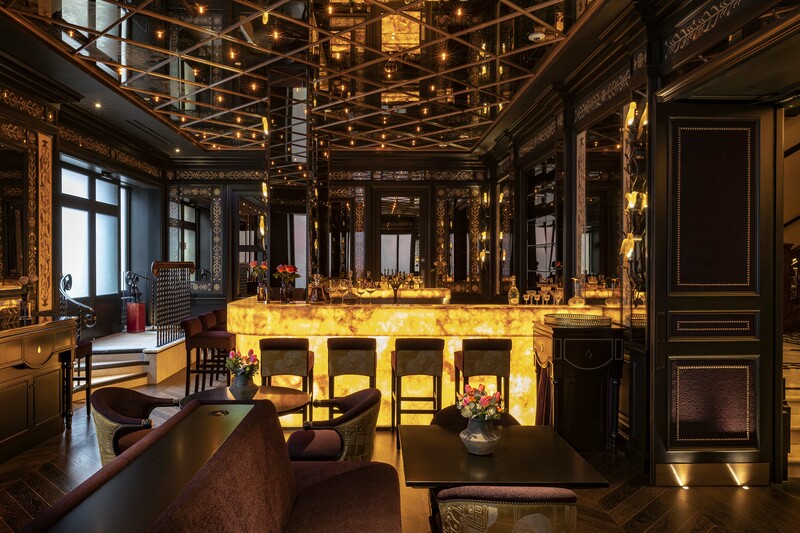 Renowned for his work at the Hotel Costes in Paris and La Mamounia in Marrakesh, French interior designer Jacques Garcia has recently finished work on first project in London: L’Oscar. 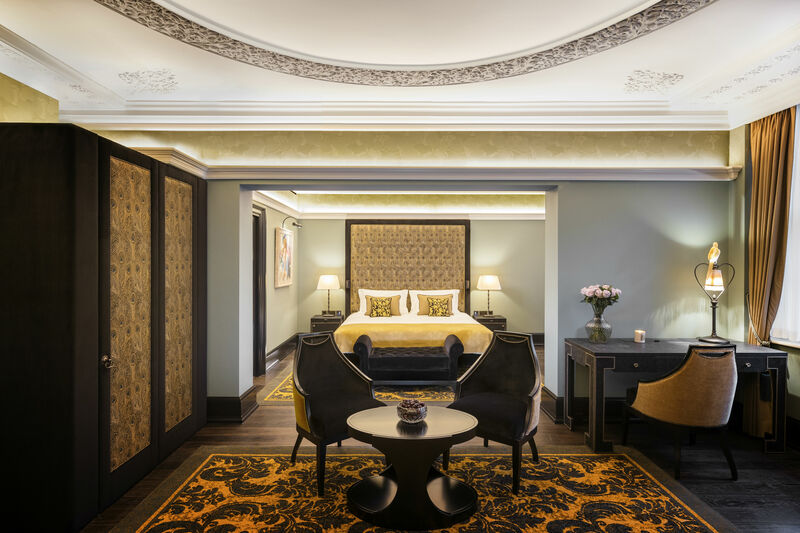 An exclusive new 39-bedroom luxury hotel, L’Oscar was the former Headquarters of the Baptist Church and has now been fully restored and re-imagined as an opulent, boutique hotel. 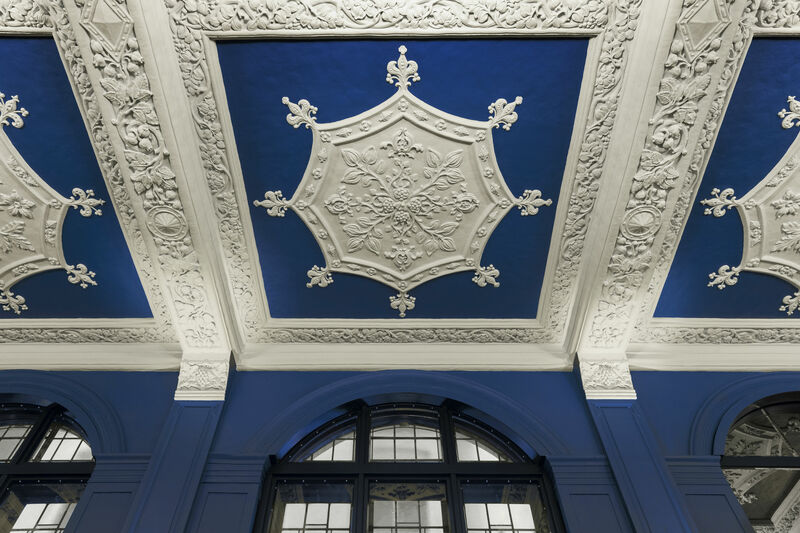 Previously abandoned, the 110-year-old architectural gem is located in Holborn; the heritage building still retains some of its original tiling, flooring, carved fireplaces and ornate ceilings which have been restored during the hotel’s refurbishment. The original octagonal chapel has also been restored, and is now home to L’Oscar’s restaurant, the Baptist Grill. Taking pride of place within the hotel, the Baptist Grill is open for lunch and dinner and sits under the expert guidance of executive chef Tony Fleming. Grandly positioned on a mezzanine, the Baptist Grill sits above the bustling Baptist Bar. The restaurant’s ceiling is topped with a glass dome and has been hand painted; it is surrounded by eight stucco sculptures, as well as plaster and stencilled wall treatments. Throughout L’Oscar, Garcia has created motifs of butterflies, birds and peacock feathers, touching in his theatrical style; wall panels are embroidered with peacocks, whilst glass birds and butterflies can be found in the bathrooms and overhead light fixtures. Close to the Baptist Bar, Garcia has also created a garden named Blue Tree Yard, where a huge copper tree installation in full blossom takes centre stage, and is hung with birdcages and foliage. Though the original building had five stories, the team behind L’Oscar has added two more. Each guest room are unique in their shape and size, with high ceilings and large windows, and every guest room on the original five floors features a private fireplace. Original detailing can be found throughout each room; they have been individually curated to include Garcia’s opulent designs and are decorated with silk, velvets and damasks.